*The target goal for the Personal Health Indicators was the 90th percentile from the most recent three years, 2015 to 2017. For the newly added personal health indicators the target goals were 90% of the 2017 values. **The target goal for the Community/Environmental Indicators was the MSA average for 2015 to 2017. 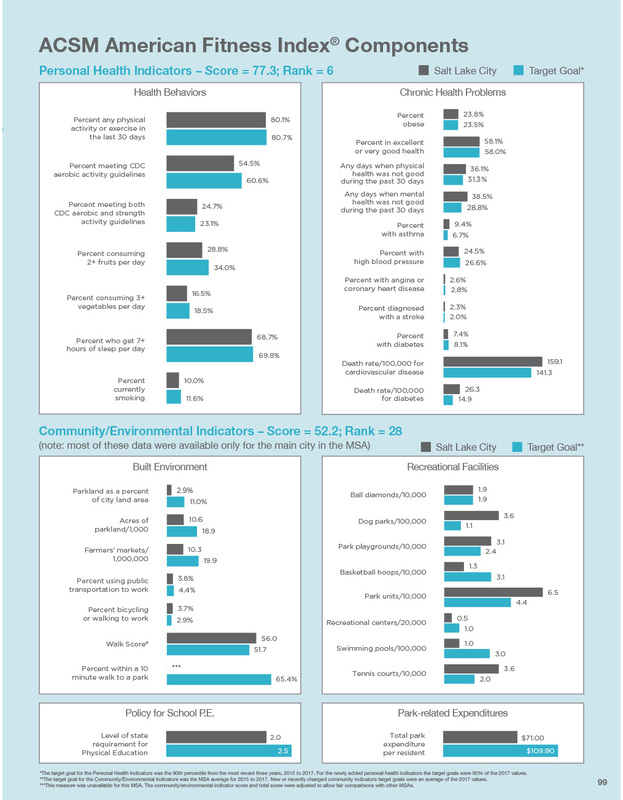 New or recently changed community indicators target goals were an average of the 2017 values. ***This measure was unavailable for this MSA. The community/environmental indicator score and total score were adjusted to allow fair comparisons with other MSAs.